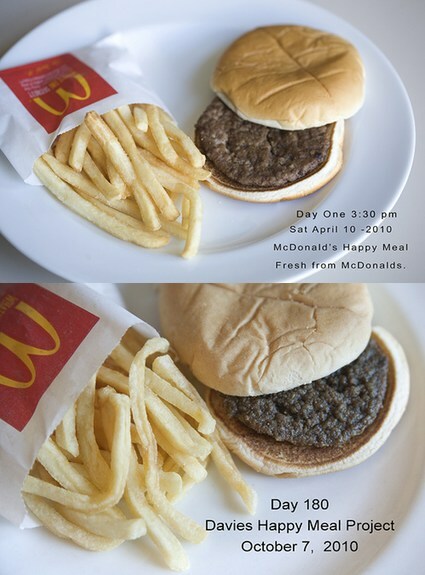 For the last six months, Sally Davies has been photographing the same McDonald’s Happy Meal. Apparently, and disturbingly, it hasn’t changed a bit. The flecks on the burger are crumbs from the bun. The burger is starting to crumble a bit. To be sure, this isn’t science. That said, it is nauseating.